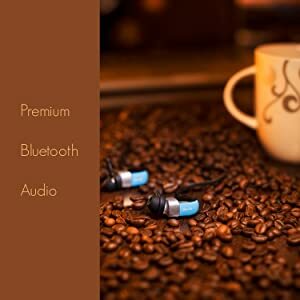 These Bluetooth headphones for iPhone 6 android phones and tablets and other Bluetooth devices can pair with 2 different devices simultaneously, giving you double the possibilities for answering calls and streaming music to your workout headphones, all while enjoying premium Bluetooth earbuds wireless sound quality. Most of the times users don’t charge the product when it arrives ,it might have low battery, so they need to full charge the product . 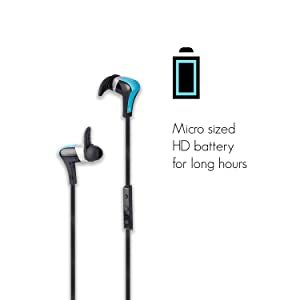 Also this product should not be charged with quick chargers used for mobiles , as these have 80 mah battery and if charged with heavy duty charger it spoils the battery . The product should be charged preferably with desktop or normal charger through cable provided with the product. Sound One is an authentic premium sports brand offering innovative designs that inspire an active lifestyle. We enhance the athletic experience, inspiring you to be active and empowering you to improve your life. Email Sound One Customer Service, get answered under 24 hours: you can click “Your Account” on Amazon, click”Your Orders”, find the Sound One order, click “Contact Seller”. on your body without traditional limitations. 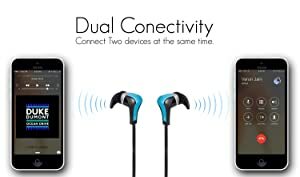 Sound One S501 are the smallest Bluetooth Earphones available, yet they pack an incredible 8 hours of play time. 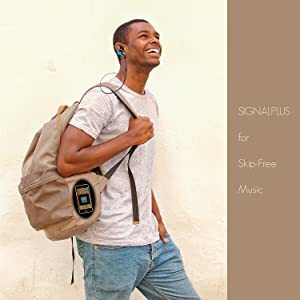 Enjoy a full day of music and calls, or work out an hour a day for an entire week on a single charge. 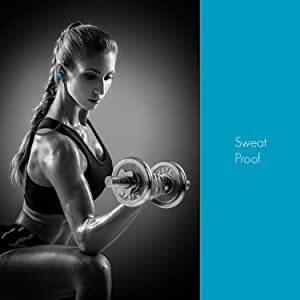 A true sports earphone must be able to stand the punishment of sweat.The Sound One Earphones are designed for Sweat-proof/rain proof with IPX4 rating, Tight fitting ear buds and ear cushion grips the inner ear lope and ensures tight fit despite sweating and vigorous exercise.